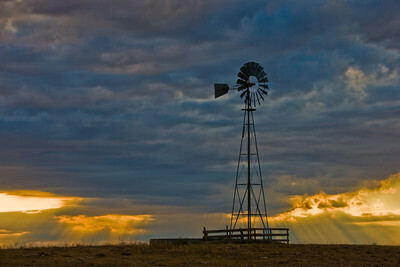 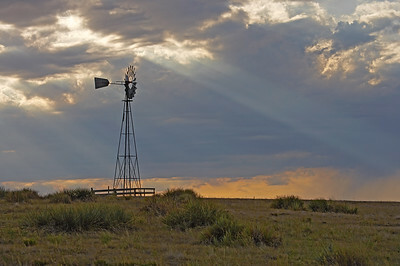 God rays streak from clouds behind a water station windmill at Pawnee Buttes, in Pawnee National Grasslands, north of Greeley Colorado. 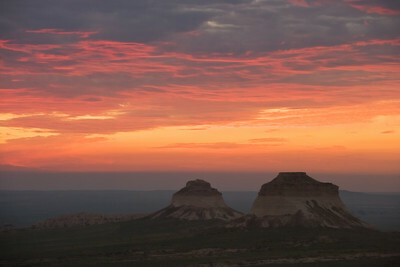 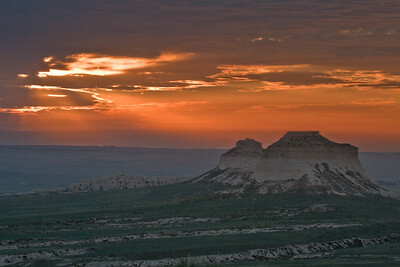 A colorful orange sunrise greets the east and west buttes at Pawnee Buttes, in Pawnee National Grasslands, north of Greeley Colorado. 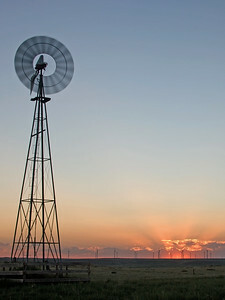 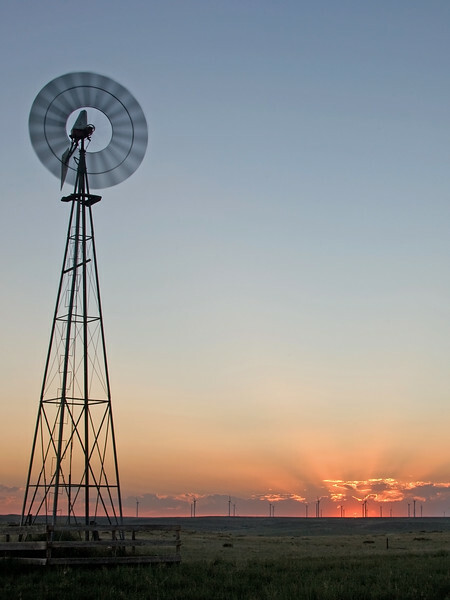 Old and new come together as a the setting sun silhouettes a wind mill and wind turbine farm at Pawnee Buttes, in Pawnee National Grasslands, north of Greeley Colorado. 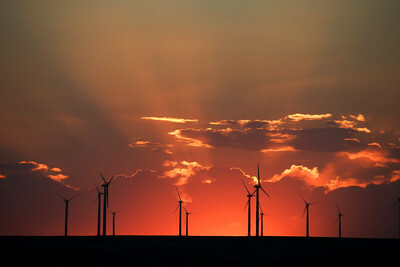 Wind turbine farm is silhouetted by a blazing sunset at Pawnee Buttes, in Pawnee National Grasslands, north of Greeley Colorado. 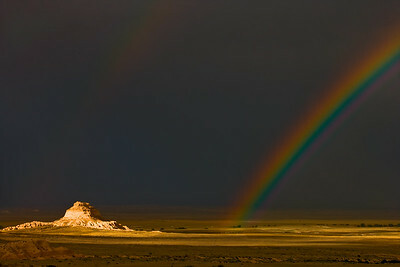 Photo highly commended in Nature's Best 2008 Annual Edition. 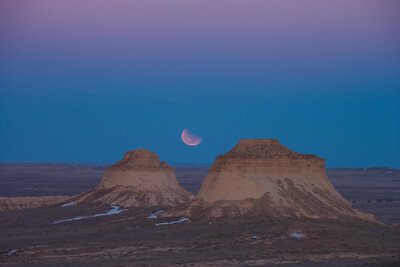 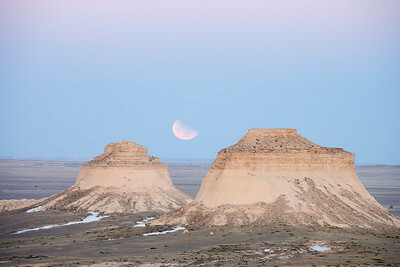 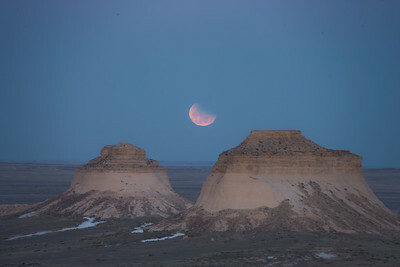 Full moon rising in partial eclipse over Pawnee Buttes, in Pawnee National Grasslands, north of Greeley Colorado. 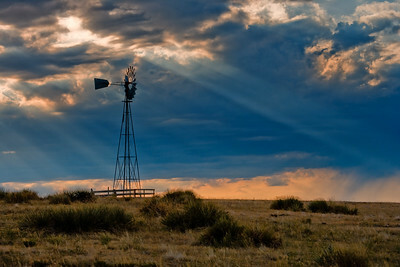 Golden god rays streak from clouds behind a water station windmill at Pawnee Buttes, in Pawnee National Grasslands, north of Greeley Colorado. 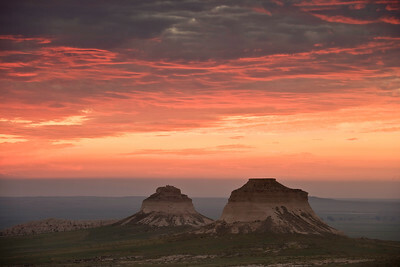 A colorful orange sunrise spreads across the sky to greet the east and west buttes at Pawnee Buttes, in Pawnee National Grasslands, north of Greeley Colorado. 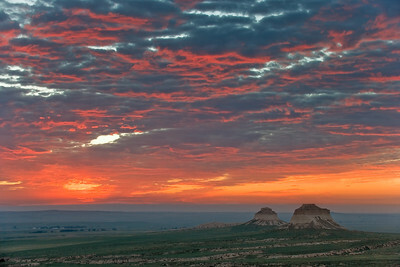 A colorful orange sunrise forms panorama as it spreads across the sky to greet the east and west buttes at Pawnee Buttes, in Pawnee National Grasslands, north of Greeley Colorado.